Amazing what technology is now available, and at such cheap prices. Camera surveillance systems, recording up to 30 days of footage at a reasonable resolution. Able to operate day and night (infrared), indoor and out. Not only recording any motion, but able to stream the camera footage to the web, and send email alerts (to multiple addresses), with images attached. 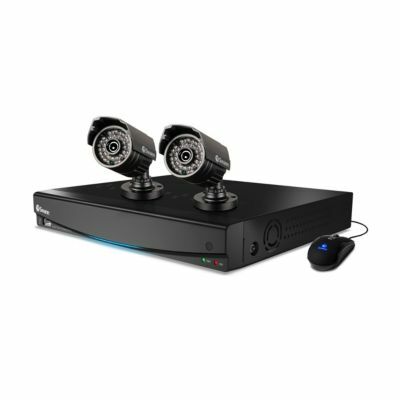 With one (and multiple cameras) connected up, with the DVR and router connected up to UPS (particularly one working on the 4G network), the system can provide a surprisingly high degree of security, for a minimal price (under $200 for the surveillance system). No need to purchase those fake cameras, the real deal hardly costs any more, and has significant functionality. At that price, not only can you afford to have surveillance of your workshop, but the house, and approaches as well. Overnight, I received a notice from the previous video host I have been using for the past 6 1/2 years that they were going to shut down the Stu’s Shed channel. Bit abrupt disappointingly, and without explanation, but so be it. So, over the next few weeks I will be migrating all the old videos across, directly onto the WordPress servers. I already pay for the VideoPress service, so the only issue is going to be space, but that is easily fixed by throwing a few dollars at the problem. I have just worked out the stats for the videos still hosted on the old host (and this does not include the videos from the past 18 months or so). 132 videos, totaling just over 25 hours of footage, and taking up 16GB of space. I am going to use this as an opportunity to clean up the whole Stu’s Shed.TV area, and have not yet decided exactly what I will be implementing. To start, I will need to edit every one of the original posts so they point to the new video location (when I upload them). Then just how I index the collection will have to be decided. Total number of views of the existing collection (again not counting videos that were on HowCast (before they shut down the channel), or on YouTube, or any produced in the last 18 months), is 418736! 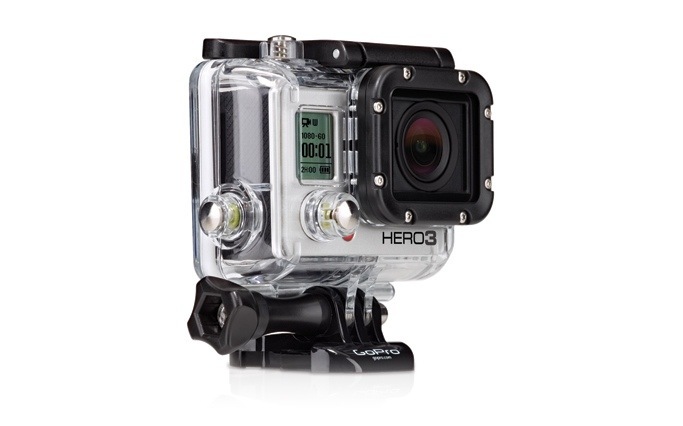 The GoPro camera range is relatively new on the market, part of the wave of cameras made possible by developments in digital technology. They are normally associated with the sporting world, providing POV (short for 1st person point of view) shots, and equipment/vehicle-mounted shots and views. I have decided to add one to the lineup, to provide some interesting and unique views to the shed videos. There are a few drivers for this- one being the upcoming shed build, which I want to capture in a series of time-lapse shots which is one of the strong points of this camera. It is very light (and small), so some different viewpoints are a lot more achievable, as well as being extremely weather-proof. It can operate up to 60m deep in water, so a bit of rain will not phase it in the slightest. I would have absolutely killed for a camera like this back when I was heavily into diving, and to provide some really interesting perspectives on the ships I served in the Navy. While directly involved in damage control (fire fighting, flood control etc), and various evolutions (refuelling at sea, equipment maintenance (such as inside the ship’s boilers), it would have been an awesome device. Another driver was where I have been looking at the ability to capture high speed footage. My normal video captures at 25 fps (frames per second), which means slowing the footage down immediately becomes choppy. A dedicated high speed camera is around $17k, so that is out of the question. 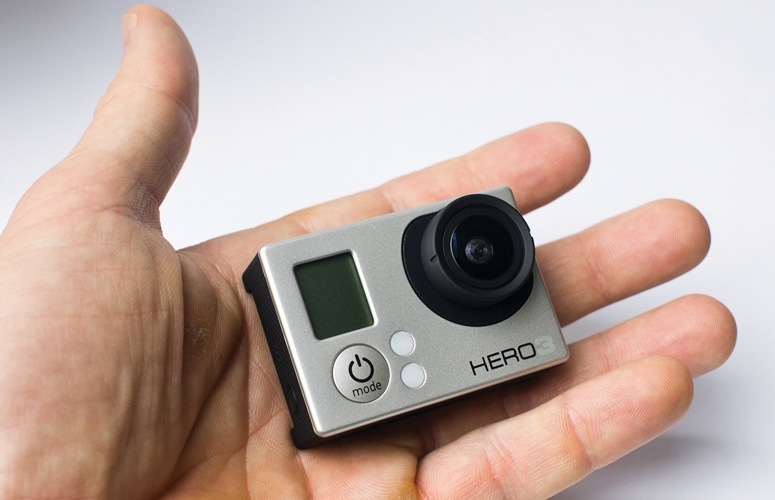 However, this camera can manage up to 240 fps at its highest rate (low res, but still fine for web-based), and 100-120 fps for high def video. Slowing an event down 10 fold is now possible. 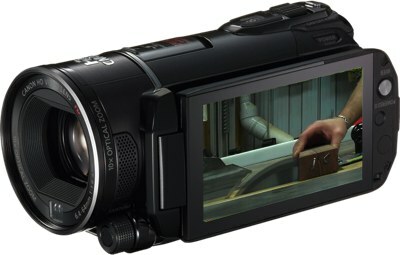 The camera shoots high definition video, as well as 12MP stills (and those can be up to 30 images/sec). I’m going to use it to provide some unique views and POV shots and angles. I’ve picked up the camera early so I can get some experience with it. Have had it mounted in the car for some tests, and have already captured videos of cars reversing up Eastlink to a missed turn, a car using a footpath to get into a service station, another car skidding around a corner (idiot), powering on and loosing control. 3 trips, 3 idiots. Thanks to Benny, who has uploaded the original Triton MK3 video to YouTube. It is 3 hours long, and 629MB, so you might be better off downloading it first. Check out George – never knew he was that young once!! 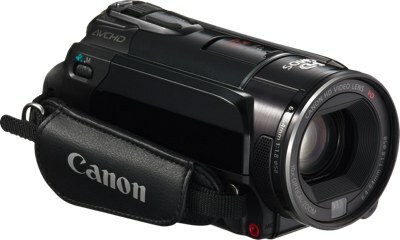 Just placed an order for a new video camera to get Stu’s Shed TV back online. I’ve decided on the Canon HFS 20, and it should be pretty impressive, and significantly improve my workload in producing a video. Canon – because they still make exceptional products, and have very sound optics. S – Not sure exactly what this adds, but it is definitely a much larger CMOS chip for the video chip – over 8MB vs 3MB for the HF 20.